Ashish Sharma, a 32-year old viewer of Zee Business, earns Rs 37,000 per month and is working methodically to become rich. He is already running systemic investment plans (SIPs) worth Rs 8000 and is well on his way to becoming a crorepati. Financial planning at an early stage is important to ensure a secure financial future when you grow old. However, taking care of short-term goals is equally important. This makes it important for all of us to create a balanced portfolio that focuses on long as well as short-term money goals that we have in life. 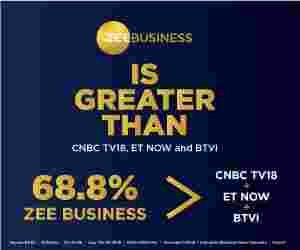 Most of us tend to ignore this critical aspect, but Ashish Sharma, a 32-year old viewer of Zee Business from Jalandhar, did not do that, much to his profit. Ashish earns Rs 37,000 per month and is working methodically to become rich. He is already running systemic investment plans (SIPs) worth Rs 8000 and is well on his way to becoming a crorepati. Sharma has a goal of collecting Rs 30 lakh in 10 years, Rs 20 lakh in 20 years and another Rs 30 lakh in 25 years. Sharma also has a goal of having Rs 1 crore by retirement. For taxation purpose, he also holds Bajaj Allianz and LIC policies. Vishwajeet Parashar, Group Head Marketing of Bajaj Capital suggested to Ashish that he should align his SIPs with particular goals. Sharma would need an SIP of Rs 13000 per month to collect Rs 30 lakh in 10 years, while only Rs 2000 SIP is required to accumulate Rs 20 lakh in 20 years. Earning Rs 30 lakh in 25 years requires an SIP of just Rs 2000 per month. Sharma's retirement is 28 years away. Parashar noted that he already invests Rs 3000 per month in Mirae Asset Emerging Bluechip Fund and suggested that Ashish to raise it to Rs 4000, and thus collect Rs 1 crore in 28 years for retirement. Please note that all the calculations here take into account a return of 12 per cent per annum on the funds Sharma is investing in. So, this is how Ashish Sharma is planning for his short and long-term goals. Before wasting a day, you should also do the same. Simply list down your goals, the required money and thus figure out how many SIPs of what amount you would require to achieve your own as well as your family's financial goals.